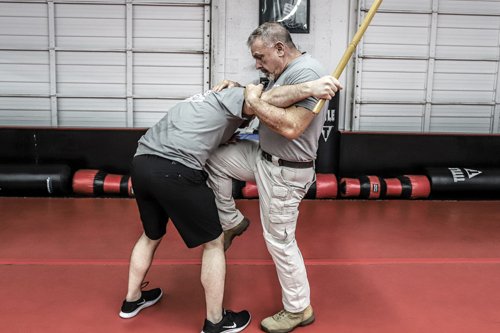 I’m honored to be inviting you to a Free Combat Krav Maga Demo Class as a way of introducing you all the benefits of this program that is designed to help you become Your Own Personal Protection Specialist. I am offering this intro class exclusively to those who visit this website, but hurry this opening is for a limited time so I encourage you to secure a spot now! John Riddle is a Retired Sergeant who served with the West Palm Beach Police Department. During his 28 years of service he has worked as a Patrol Officer, Field Training Officer and Road Patrol Supervisor. 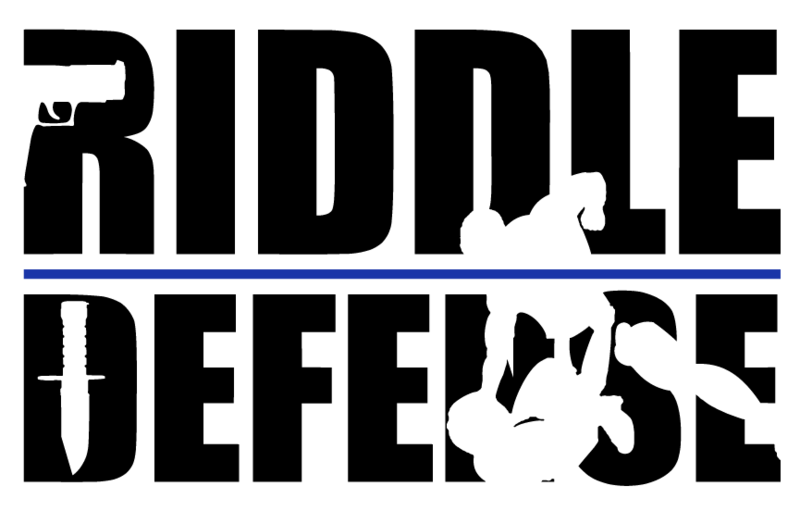 John is certified in the State of Florida to teach Defensive Tactics and Firearms to Law Enforcement officers. At least 10 years ago I was robbed. I’m fortunate there was no weapon involved and I clumsily fought my way through it. I’ve dealt with an extreme stalker, various incidents that could have gone badly, and as innocent as a overly friendly neighbor. I felt it was time to learn how to defend myself if necessary. What a class! I will take more of the workshops in future. John Riddle is honest, experienced, and clear in his instruction. As an educator myself (totally different genre!) I appreciate clarity and applicability. Amazing experience with John Riddle at Riddle Defense: Professional, experienced, clear. Best in the business! The best training you will ever get. A perfect weapon sir!!! You are a great teacher and an encyclopedia of info on all combat, weapons, and survival. John Riddle is a top trainer in every aspect. He knows tactics, firearms and self-defense and communicates his expertise well to his students. Anyone who trains with him is lucky to have him as a mentor. Very useful / informative / practical! Great for moms and teenage daughters !! Bully’s beware! This was my first time doing training like this and I was nervous. John and his crew are wonderful and they make you feel safe in this training environment. I learned so much… this was a great experience. I got to sneak in a Combat Fitness class this morning with Leigh while I am down from NJ visiting family for the holidays. Was a great class! Looking forward to being able to take the Krav class next time I’m down in the area. I have taken 2 classes here (soon to be 3) and John and his team are fabulous. John has so much knowledge and every minute of each class is informational, practical, and well-stated. What a great service you offer. Thank you! The absolute best real life class ever. John, Leigh and the team at progressive self defense systems are amazing!!! I took away so much info, courage, and also realized that practicing with the best makes me want to train more. I am waiting for my next class with great excitement. Thanks so much for all that you do. I’ve known John for 20 years and trained with him in various classes and worked in the streets with him. Very smart, very intense and doesn’t just talk about it, he lives it. There is nobody I’d rather have next to me during a situation, no matter how bad it got. And I’d trust him with my family and never have to worry about their safety. John is one of the best teachers, coaches ( no matter the discipline)and/or men I’ve ever met. He has mastered the discipline and used it before ever teaching it. I have trained with John in his group trainings and had a private lesson on the range. John is a very skilled trainer. He pays attention to every detail, makes safety paramount and teaches way beyond the basics. He brings his skills from his vast past experience….which makes his training invaluable. I highly recommend any training by Progressive Self Defense Systems! John, Leigh and his team put together an amazing day of training! We learned Force on Force simunitions training. First – absolutely appreciated their safety measures..this group is on point!!!! Then each training scenario was run and debriefed in a manner that allowed you to absorb what happened and learn from it. All instruction was educational and constructive, at no time were mistakes criticized and you always felt that you were in a positive training environment. I had no prior simunition training and was nervous to be honest, but they explained everything and put me at ease. I highly recommend taking this class. This is an impressive, experienced and knowledgeable training firm. I took their Home Defense Room Clearing course and think it’s an absolute necessity for ANY CCW holder or even has a gun just in their home for self defense. The instructors did a great job of creating very realistic scenarios and making you feel as if you’re truly in a potential life or death situation, with all the physiological responses that come along with it. I highly recommend this firm and this course and will surely be taking more of their training in the future.